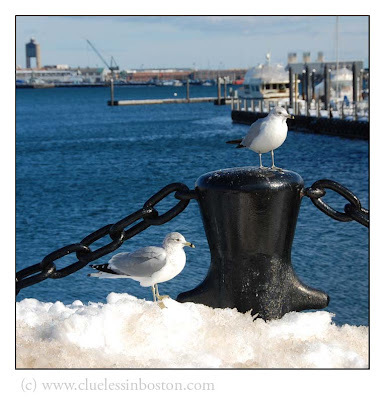 Seagulls on a cold winter day. In the background you can see the airplane tower at Logan Airport. Thanks for the picture, a splendid opportunity to all these memories. Great picture. I really need to visit your city some day - I've heard so many wonderful things about it.